The finished bathroom. 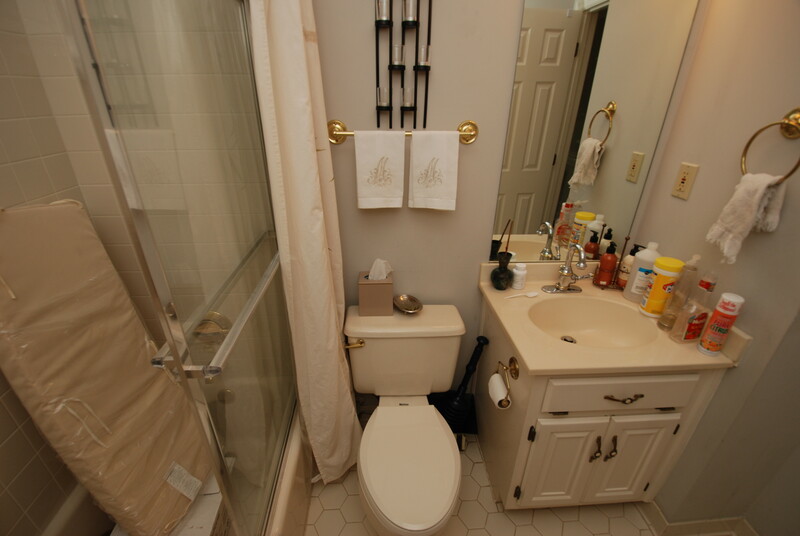 Neutral colors for the tile and vanity allowed the wall color to be bolder without overwhelming the small space. The completed renovation showing a view of the curbless entrance and shower enclosure. A closer look at the shower head and slide bar. It can be positioned along the slide bar to change the height of the shower head or taken out of the holder and used as a hand shower. The vanity top is Carrara marble that closely matches the porcelain tile that we used on the floor and shower walls. The finished bathroom. The hotel rack for the towels makes use of space above the toilet for storage but keeps them close at hand. 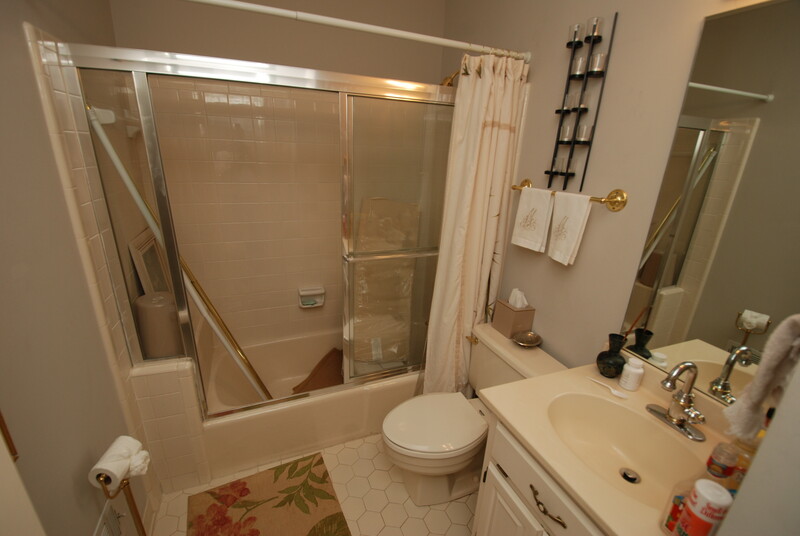 Another view before the renovation – the space is tight but enough for a functional bathroom.